Despite a forecast that included daily showers and a possible thunder storm, not a single drop fell on my tent the entire weekend. Following a celebratory dinner at Stout’s Irish Pub Sunday evening, we packed up, drove back to the studio, unpacked everything and closed the door. Not even a minute later, as though the heavens had been waiting for us to finish, there was a torrential downpour. Looking forward, and for those who didn’t make it to Brighton, I will be setting up shop at the Ann Arbor Artisan Market for the balance of August. Confirmed dates are August 10, 17, 24 and 31 (weather permitting). Additional dates will be added in September and October as I can fit them in. One of the best things about the A2 Artisan Market is that the roster changes from week to week, so there are always new artists to discover. 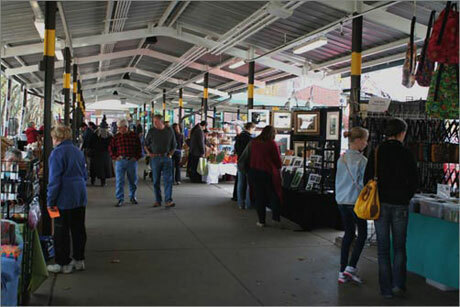 The Artisan Market is located at 315 Detroit Street in the heart of Ann Arbor’s historic Kerrytown shopping district at the intersection of Detroit Street and 5th Avenue. An outdoor show, it runs Sundays from 11am to 4pm April through December. While shopping for art online can be a convenient, inspiring and at times overwhelming way to discover artists who would have otherwise remained unknown to you, the experience cannot compare to seeing the work in person accompanied by the opportunity to speak directly with the artists who make it. Going to an art fair gives you the chance to ask questions, discover what motivated the artists to create their art and generally become more informed about each piece before you buy it. For the artists, it is an opportunity to better understand their patrons and gain insight into what attracts people to one piece over another. Despite these advantages, many artists prefer to show exclusively in galleries, shops and online venues where face-to-face encounters are rarely required. Personally, I am always looking for opportunities to share my art in more interactive ways and love discussing my work with people who are drawn to it. 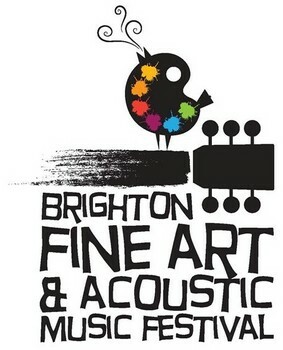 So, for those of you in Michigan during the first weekend in August, I will be showing my work at the 2014 Brighton Fine Art & Acoustic Music Festival. This is a wonderful mid-sized event tucked alongside the beautiful Mill Pond in downtown Brighton. 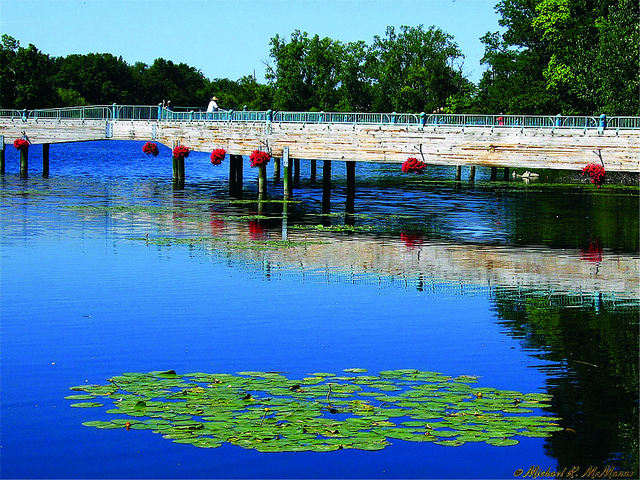 It’s a scenic walk filled with a wide variety of fine art, acoustic music, good food and quaint shops. While I greatly appreciate all those who have bought my pieces online, I am looking forward to meeting many of you in person. Can’t make this event? Not to worry, I have several more announcements coming up, so stay tuned. My art does not tend to be political. I am more interested in exploring the human imagination and its quest for meaning as revealed through myth, culture and story. 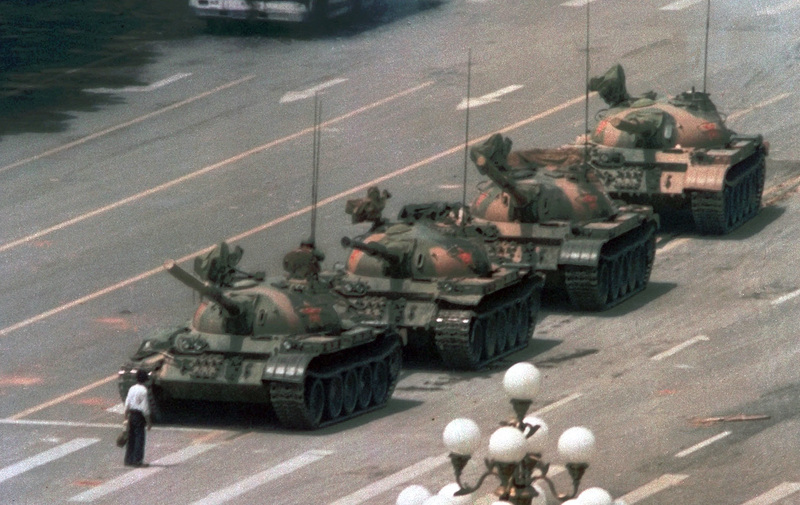 However, today was June 4 and, upon its 25th anniversary, I found myself reflecting upon China’s 1989 Tiananmen Square massacre – and not for the reason you might think. I was attending art school at the time, my sophomore year about to give way to summer break, so those young protestors putting themselves in harm’s way were the same age I was – full of ideas and a natural human desire to express them. They were attempting to secure for themselves those fundamental freedoms that I in the United States took for granted. So it was, as I attended a college actively teaching me how to think outside the box and encouraging me to express my ideas openly and creatively, that I suddenly became fully aware of the billions of people who live in political systems where freedom of speech and of expression is far from guaranteed and often nonexistent – places where it is literally dangerous to claim these simple freedoms as basic human rights. My understanding of such places to that point had been purely intellectual – seeing the instantly famous images like the one of the loan student facing down an entire column of tanks made it real for me. Here were young people putting their lives on the line for something I woke up with every morning – the freedom to express themselves without fear. Only a handful of places can compare with the level of government censorship endured by the people of China. Surely North Korea has taken it to even greater extremes and I cannot help but pity those who are forced to live in such abject darkness. But however distasteful I find the suffering of those living in that type of closed-circuit system – shut off as they are from the world around them – what gave me reason to reflect was an article in the Los Angeles Times. It tells the story of how, despite the government’s best efforts to seal them, people continue to find creative new ways to shine slivers of light through the cracks. 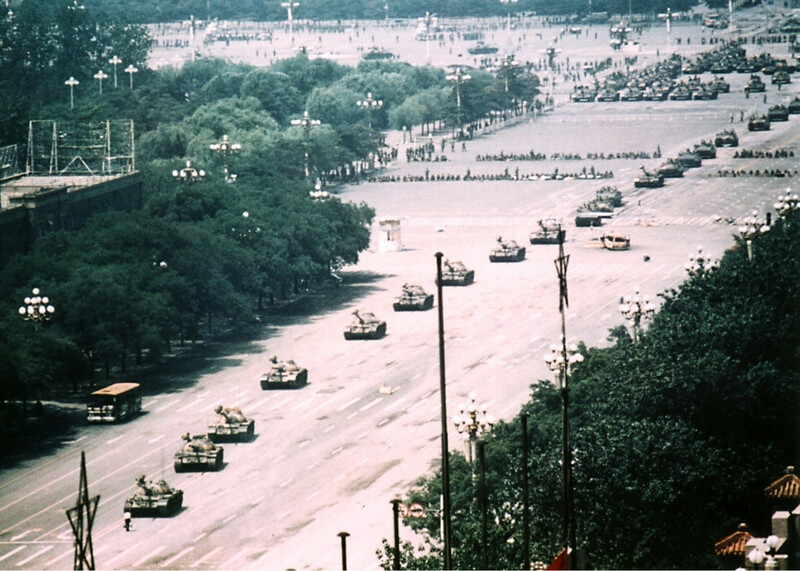 Every year, it seems, there is a dangerous game of cat and mouse being played between small groups of citizens trying to keep the memory of Tiananmen Square alive and the government who is trying to eradicate all record of it. This has forced protestors to be innovative and to find ever more creative ways of sharing their story. Since signs and banners are prohibited in the square, one group tried to get thousands of people to come to the site and join together to perform “Do You Hear the People Sing?” from Les Miserables. I have yet to hear whether this flash mob style protest succeeded and, if it did, I am waiting with fingers crossed to see if someone managed to capture it on their smartphone and smuggle it onto the internet. Innovation and creativity has kept the events of 1989 alive. 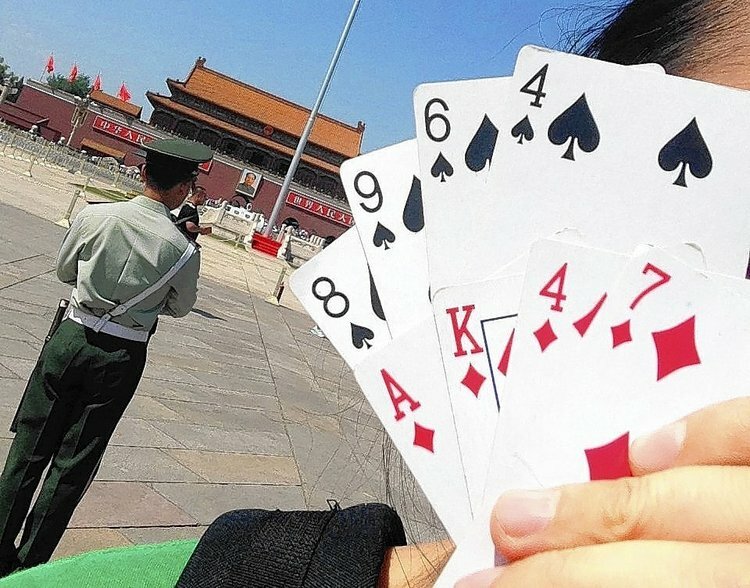 Again the article tells how someone armed only with a deck of playing cards took a photo at the square directly behind a guard, arranging a hand to display cards that read 8,9,6,4 (in reference to the date) and A,K,4,7 (referring to the rifles that cut down so many innocent students 25 years ago). They blocked their face with the fanned out display to avoid the punishment that would surely befall them were they to be caught by authorities. To me, these attempts and the hundreds like them, demonstrate that the human spirit will always find a way to express itself despite any and all attempts to oppress it and that the capacity of the human imagination to find a crack no matter how thick the wall, is truly boundless. You can read the Los Angeles Times article in its entirety here. Autumn is one of my favorite times of year and Halloween, one of my favorite holidays. I attend parties and exhibitions throughout October and at month’s end, I host a party for friends and fellow artists. It is a time for stretching the imagination and trying new techniques without concern for results; a time for throwing off whatever chains I have accumulated over the year and diving into projects for the shear, raw joy of it. 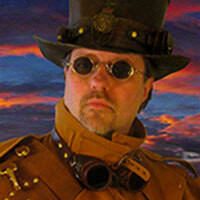 I make costumes and props ranging from ghostly monkeys to carved sarcophagus lids. The only requirement I make of myself is that I try something new – a new medium, a new technique – that takes me out of my comfort zone. 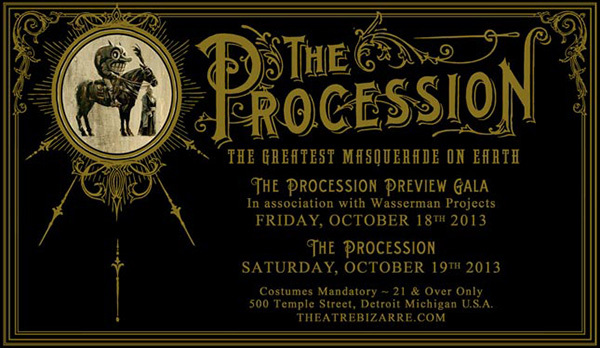 This year, the first event on my docket was Theatre Bizarre at the Masonic Temple in Detroit. It is one of the best parties of its kind. It is true as some say, that the event is extremely crowded and guests are not always certain where to go since performances are happening at a dozen locations simultaneously and there is little to guide attendees to the shows in which they may be most interested. Once you are in and have accepted the general chaos however, it is a magical place and if you give up trying to control your course and choose instead to simply wander from experience to experience, you will find yourself in interesting places. Burlesque dancers, fire acts, bands, sideshow performers and rooms better experienced than described (like the ghost train and fistotorium) – all exist to tantalize the senses and celebrate the darker side of our imaginations. And then there are the costumes … as an artist, the endless parade of costumes is alone worth the cost of admission and I often found my fellow guests as entertaining as the acts on the stages. 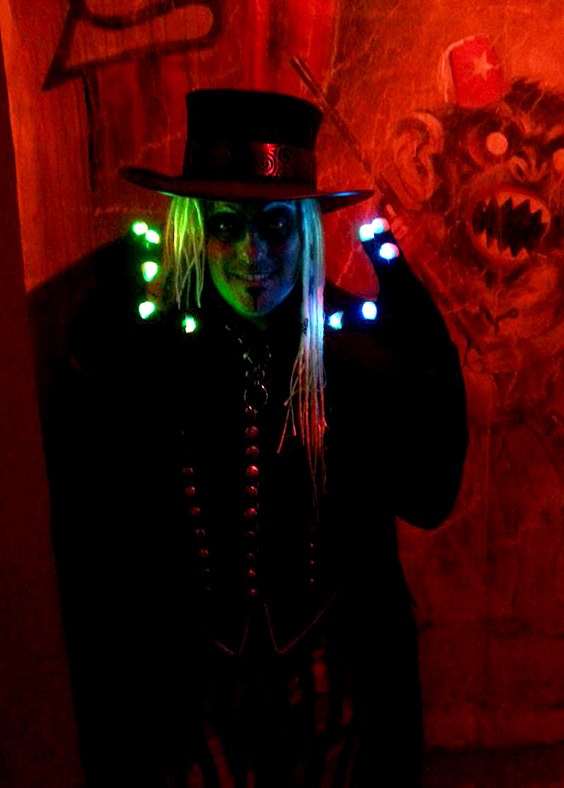 I made myself a “dark circus master” personae for this year’s event and had an absolute blast. 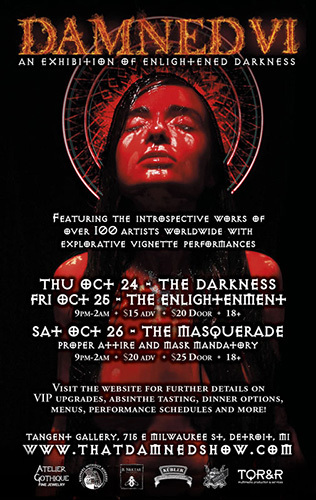 The second event I attended was Damned VI: An Exhibition of Enlightened Darkness (also in Detroit). It was a small affair and it barely took me an hour to work my way around its main hall and absorb all the art on display. I was disappointed at its limited scope but there was some very interesting artwork to be seen along with a couple performers that made the night worthwhile. The one stand out for me was Satori Circus, a thoroughly engaging clown/mime whose silent performances captivated the crowd. All in all a satisfying Halloween season and a much needed unraveling of self-imposed constraints and the ghostly specters of imagined limits. Hello and welcome to Jivotica. Jivotica.com will now take the form of a blog – equal parts inspiration, instruction and conversation. I will share my latest creations and how I make them, openly discuss the challenges I encounter as an artist in today’s world and the solutions I find, I will turn you on to other artists, techniques and tools I discover along the way and maintain an ongoing dialogue with all those interested. I will also be expanding my social media presence so that you have more choices for receiving information about Jivotica. So, thank you in advance for your patience as I make this transition. As always, I welcome your feedback and hope you will come back often.